Why drink boring, old, plain water when Willy Wonka can help infuse it with refreshing fruit flavors! 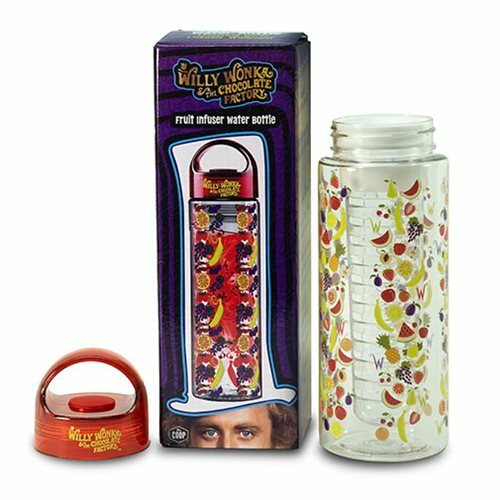 This Willy Wonka Fruit Infuser 16 oz. 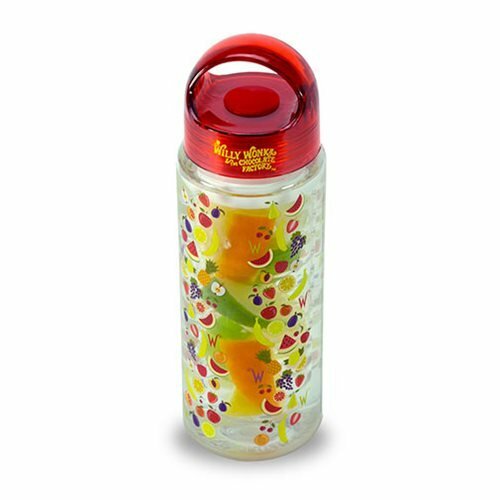 Water Bottle is shatter and impact resistant as well as BPA and EA free. 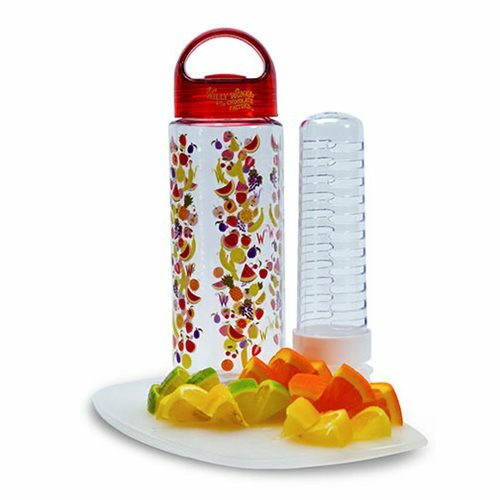 With a secure locking lid complete with a convenient carry handle, it holds approximately 16 ounces. The infuser basket is removeable for easy cleaning or to convert it into a standard water bottle.